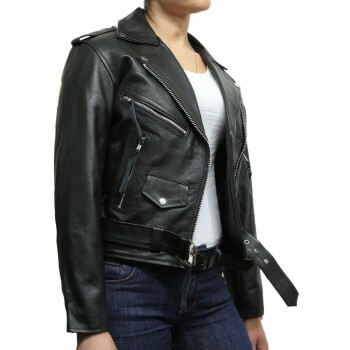 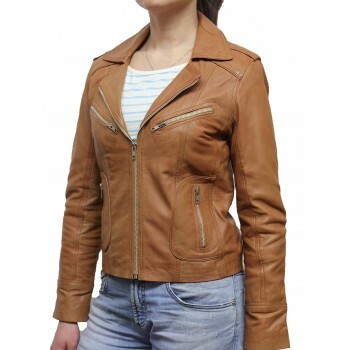 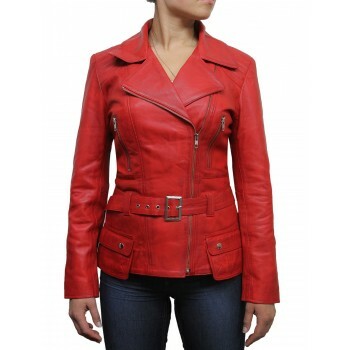 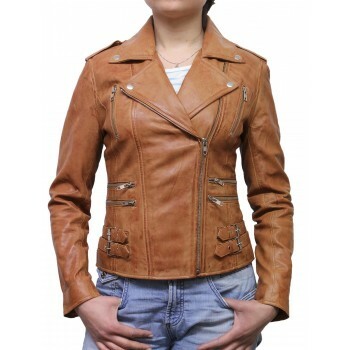 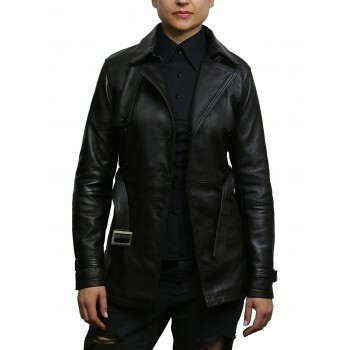 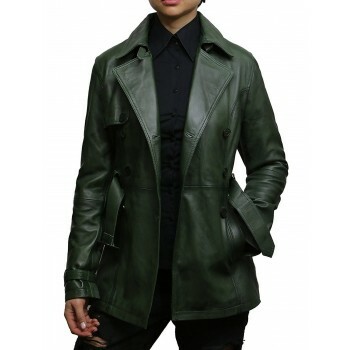 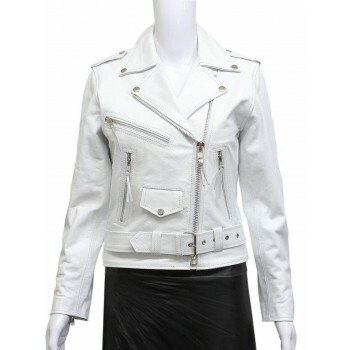 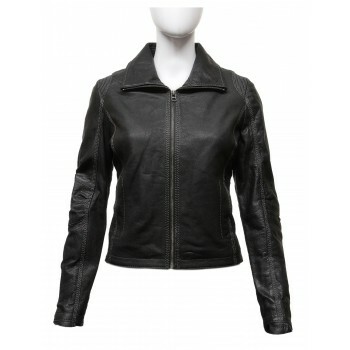 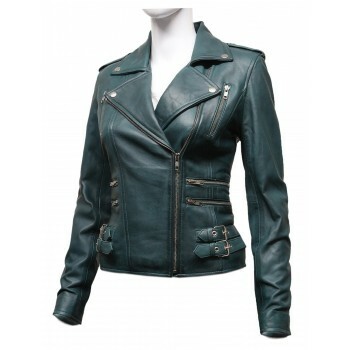 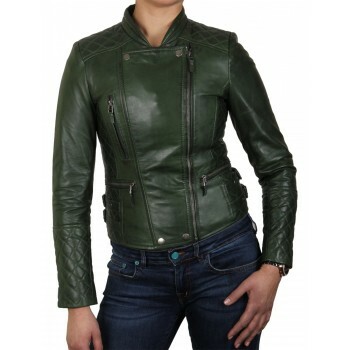 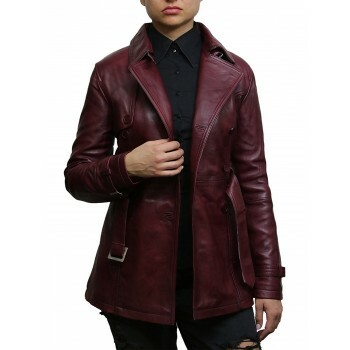 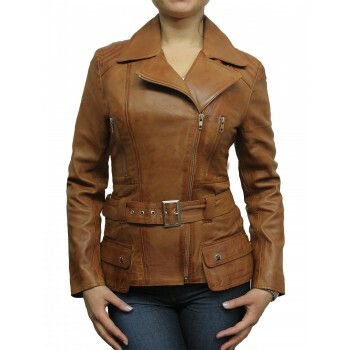 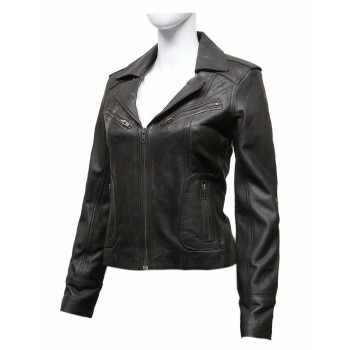 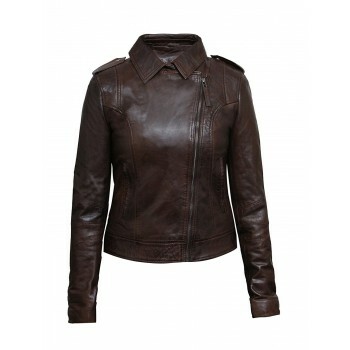 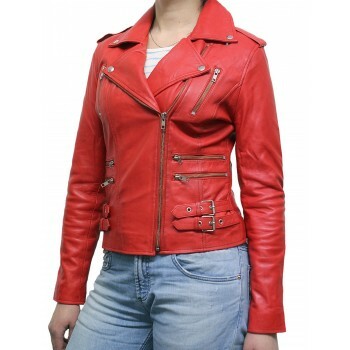 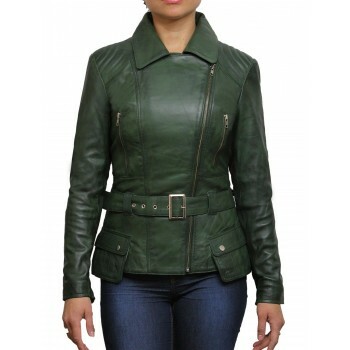 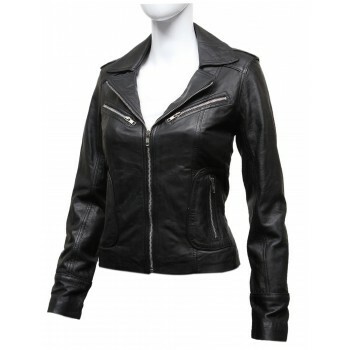 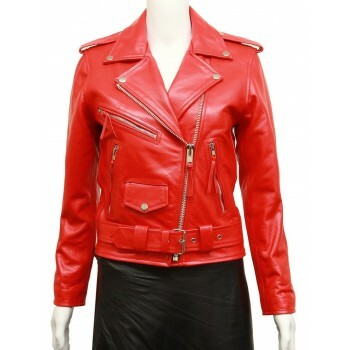 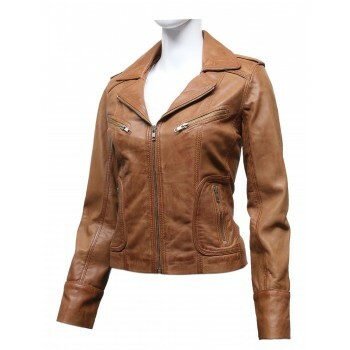 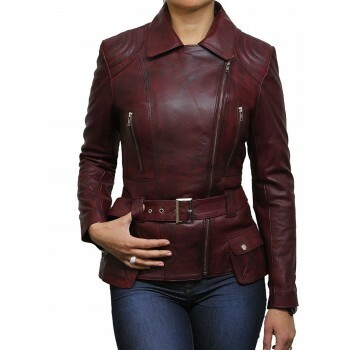 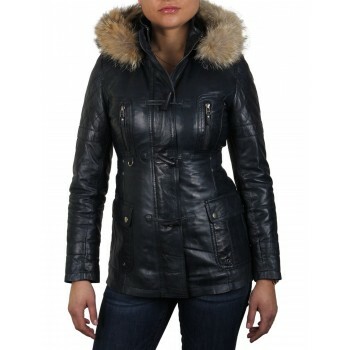 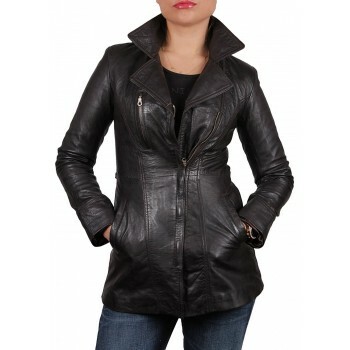 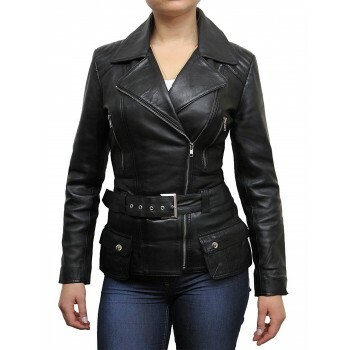 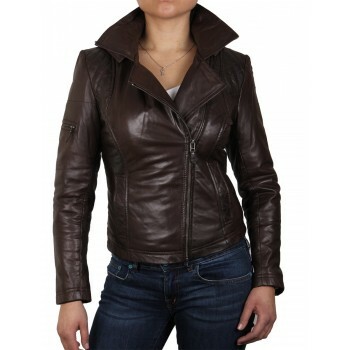 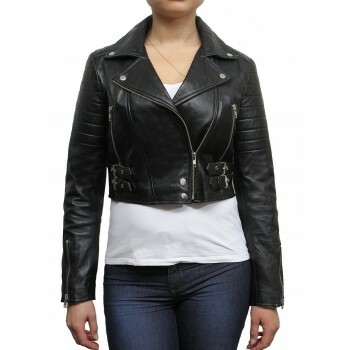 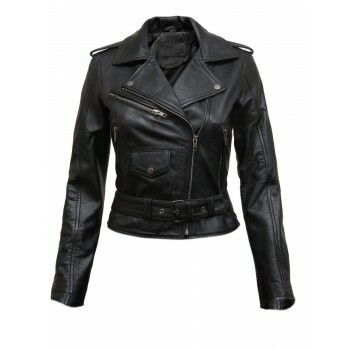 Women's leather biker jacket in olive with a unique color. 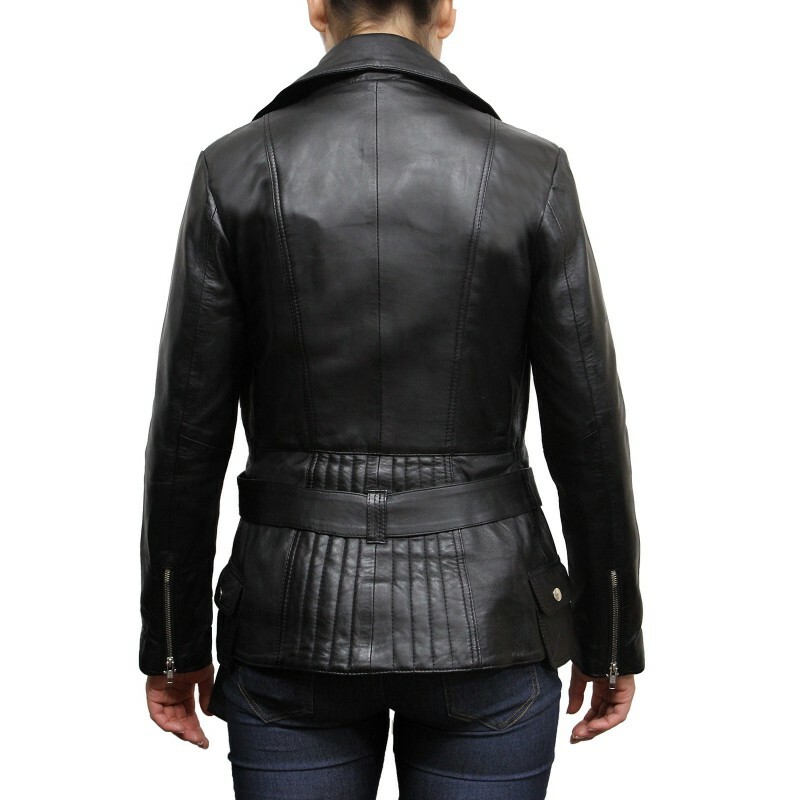 The jacket has been crafted from original lambn appa and has a nice soft feel, just like original designer article. 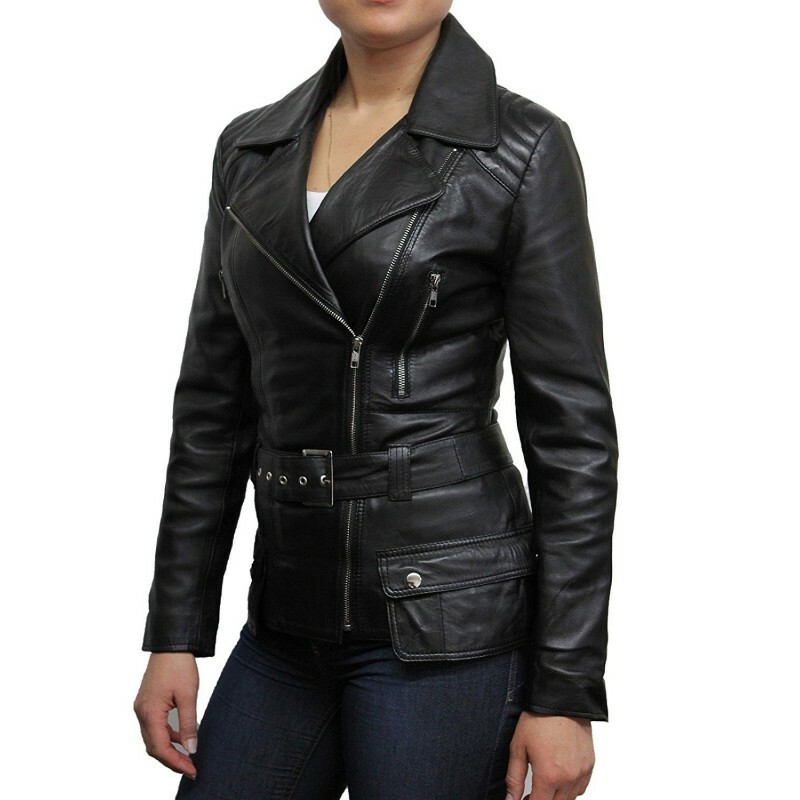 An excellent option for a casual look. 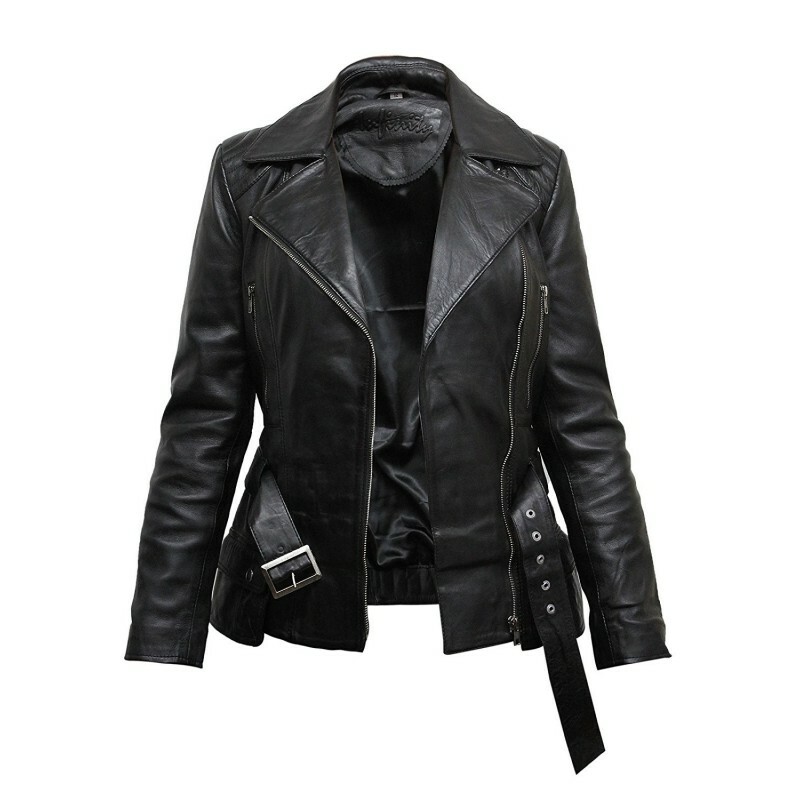 Off Center main zip with stand up collar.Collar can be used according to the requirement. 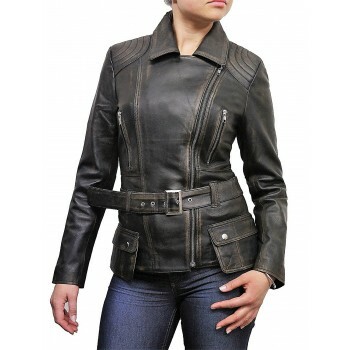 Belt and buckle fastening for added look and Fitting.